5. 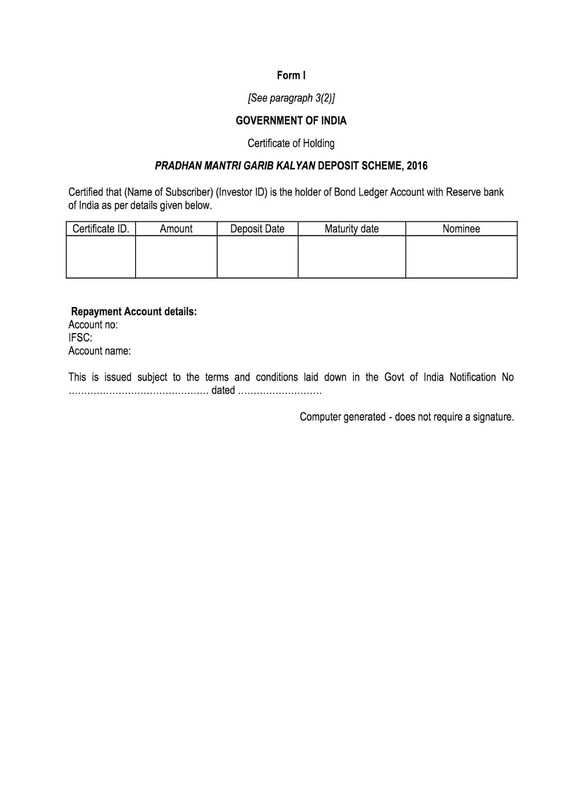 Effective date of deposit.— The effective date of opening of the Bonds Ledger Account shall be the date of tender of cash or the date of realisation of draft or cheque or transfer through electronic transfer. Provided that if the declarant does not hold a PAN, he shall apply for a PAN and provide the details of such PAN application along with acknowledgement number. (2) The application under sub-paragraph (1) shall be accompanied by an amount which shall not be less than twenty-five per cent. of the undisclosed income to be declared in the form of cash or draft or cheque or through electronic transfer as provided under sub-paragraphs (3) and (4) of paragraph 4. 7. 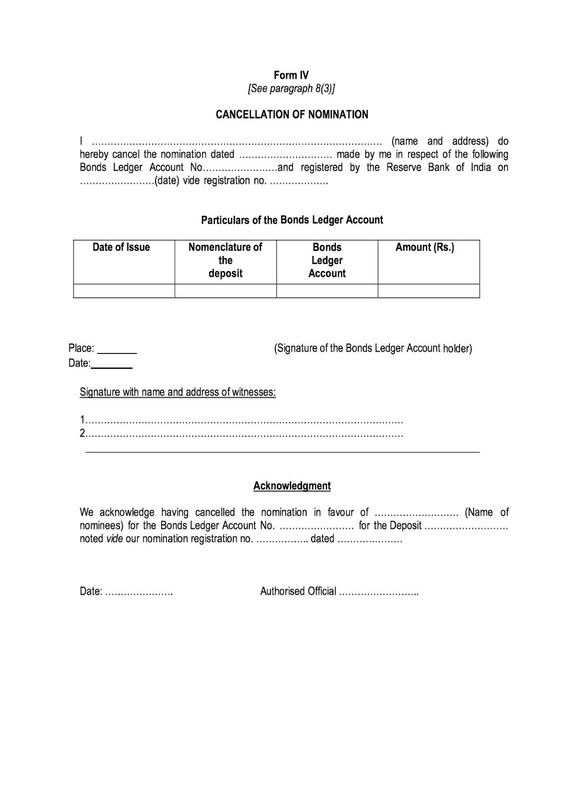 Authorised banks.—(1) Application for the deposit in the form of Bonds Ledger Account shall be received by any banking company to which the Banking Regulation Act, 1949 (10 of 1949) applies. 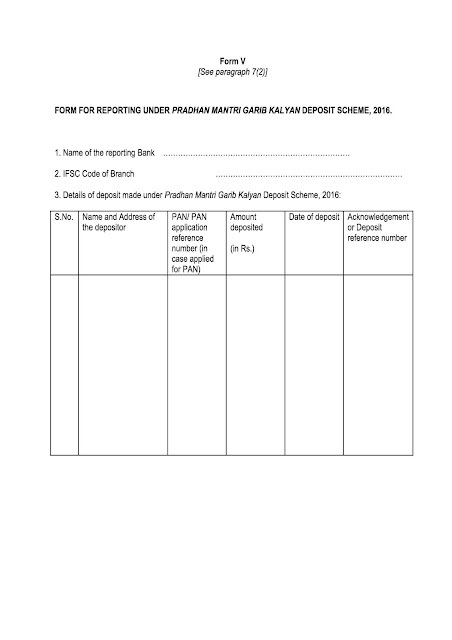 (2) The authorised bank shall electronically furnish the details of deposit made in Form V to the Department of Revenue, Ministry of Finance, Government of India not later than next working day to enable the Department to verify the information of the deposit before accepting the declaration. (3) The authorised bank shall upload the details of deposit into Reserve Bank of India’s core banking solution ‘e-kuber’. (4) The Reserve Bank of India and authorised bank shall maintain the confidentiality of the data received in this regard. 8. 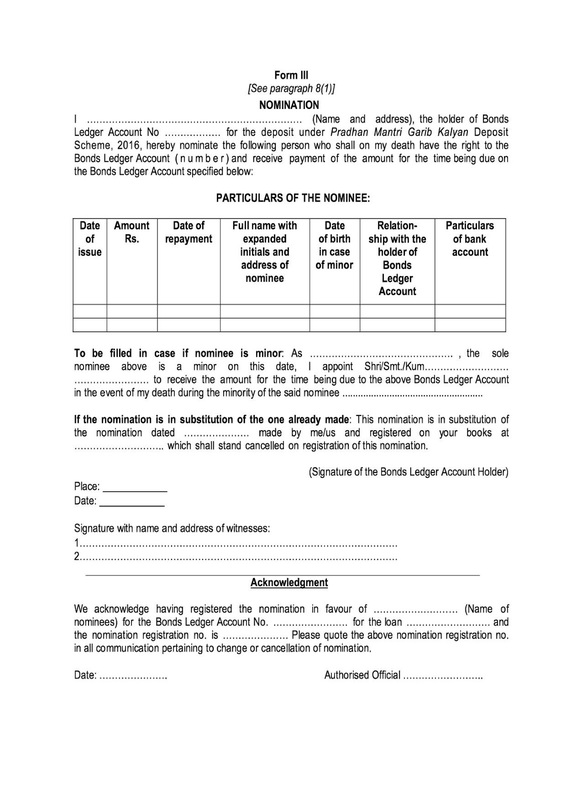 Nomination.— (1) A sole holder or a sole surviving holder of a Bonds Ledger Account, being an individual, may nominate in Form III, one or more persons who shall be entitled to the Bonds Ledger Account and the payment thereon in the event of his death. (2) Where any amount is payable to two or more nominees and either or any of them dies before such payment becomes due, the title to the Bonds Ledger Account shall vest in the surviving nominee or nominees and the amount being due thereon shall be paid accordingly. In the event of the nominee or nominees predeceasing the holder, the holder may make a fresh nomination. (3) A nomination made by a holder of Bonds Ledger Account may be varied by a fresh nomination, or may be cancelled by giving notice in writing to the Authorised Bank in Form IV. 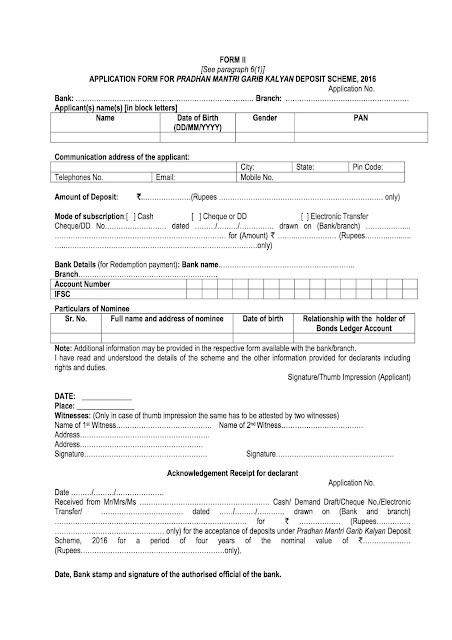 (4) Every nomination and every cancellation or variation shall be registered at the Reserve Bank of India through the authorised bank and shall be effective from the date of such registration. 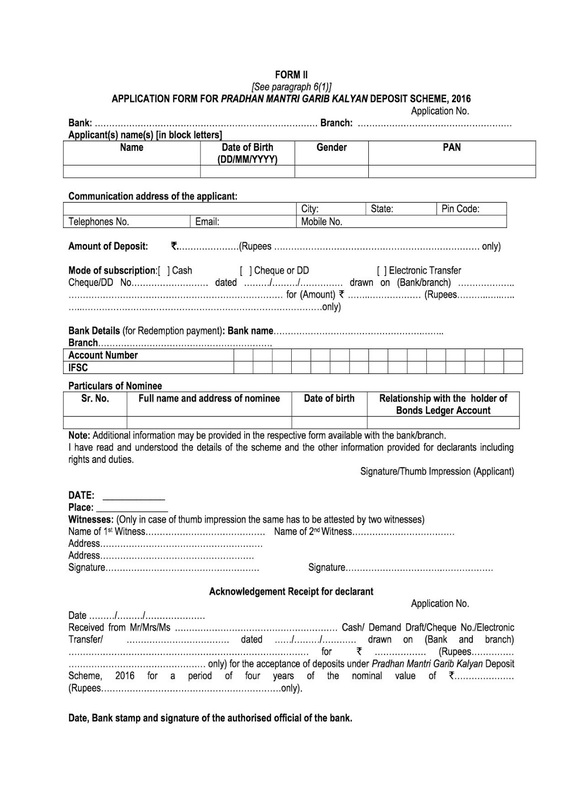 (5) If the nominee is a minor, the holder of Bonds Ledger Account may appoint any person to receive the Bonds Ledger Account or the amount due in the event of his death. 10. Interest.— The deposit under sub-section (1) of section 199F shall not bear any interest. 12. 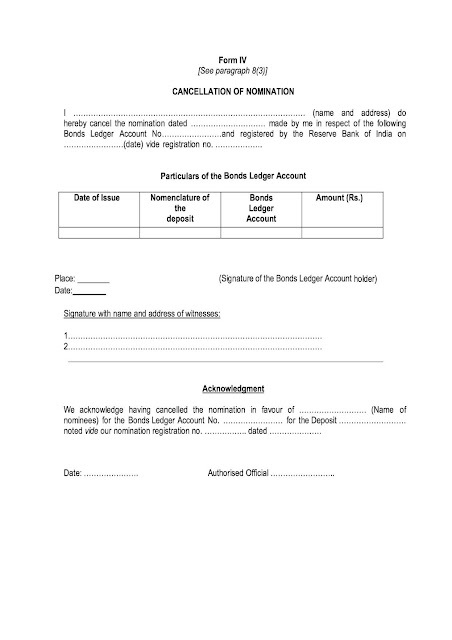 Repayment.— The Bonds Ledger Account shall be repayable on the expiration of four years from the date of deposit and redemption of such Bonds Ledger Account before its maturity date shall not be allowed. PAN Card is very important document which is use in financial transactions and use at every government application so know your pan status to be aware with it.